Of all the fascinating apps to be found out in the wild I’m especially enamored of Final Draft. 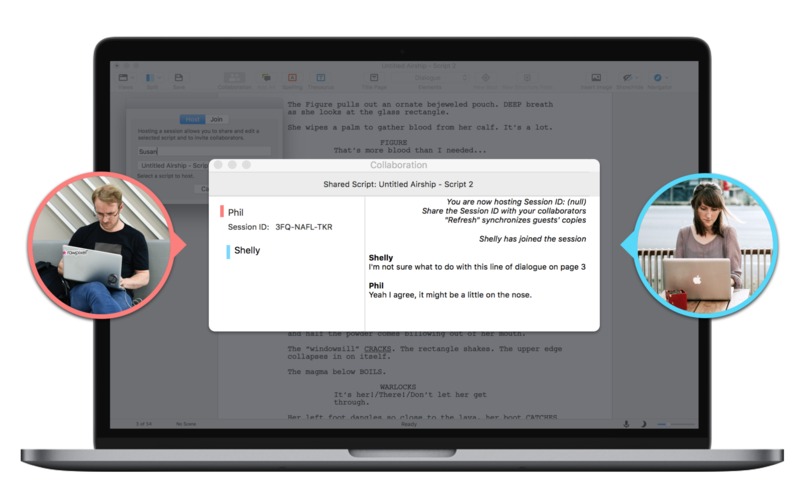 It’s an app dedicated to writing and developing screenplays and it has stood the test of time, going through 11 iterations to reach this latest version, the pinnacle of screenwriting warez. While most of us are content with Word or Google Docs, screenwriters have gotten used to Final Draft’s unique key combinations and styling but made do with software that was, to be fair, far behind the state of the art. Now the latest version is beginning to offer many competitive features including collaboration tools and powerful formatting tricks. The most important change is the decidedly proprietary collaboration system. Final Draft creates a chatroom where you and your collaborators can sit and work together on a single document and the changes are visible on all copies of the text. You can also use the room to brainstorm ideas using the Beat Board view, essentially a cork board that makes it easy to put up ideas, scenes, or characters. 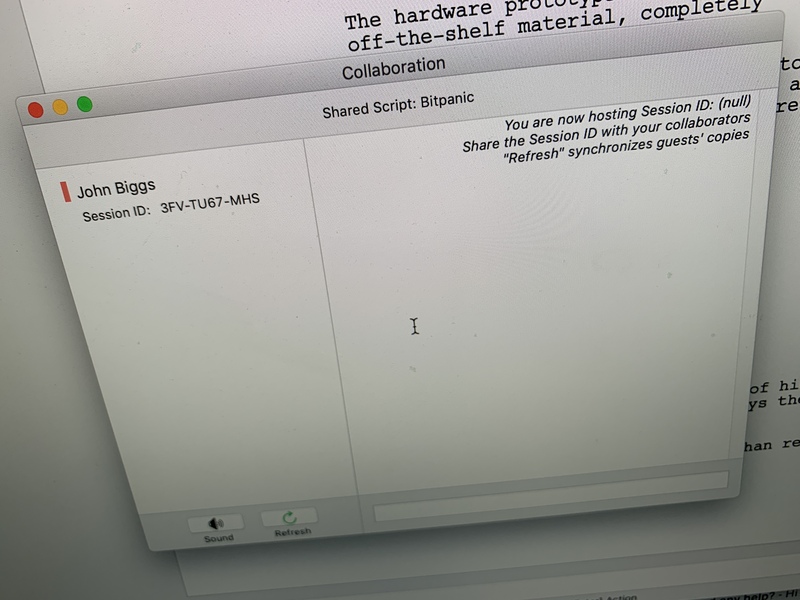 The system now also includes voice-to-text capabilities so you can dictate your next screenplay just by talking to your computer. It also adds tagging so you can break down scripts in terms of props, animals, actors, budgets, and schedules. You can also add images to scripts, a feature aimed at graphic novel writers and game creators. There is also a Night Mode for when you’re deep in thought and that third midnight glass of Burgundy as you puzzle out a messy plot point. I’ve used Final Draft for a year now – I wrote a script with a college friend – and I didn’t notice much of a UX/UI difference between Final Draft 10 and 11. The collaboration features are excellent, however, and great improvement over the previous versions. Being able to add in photos and other multimedia is icing on the cake, so to speak. 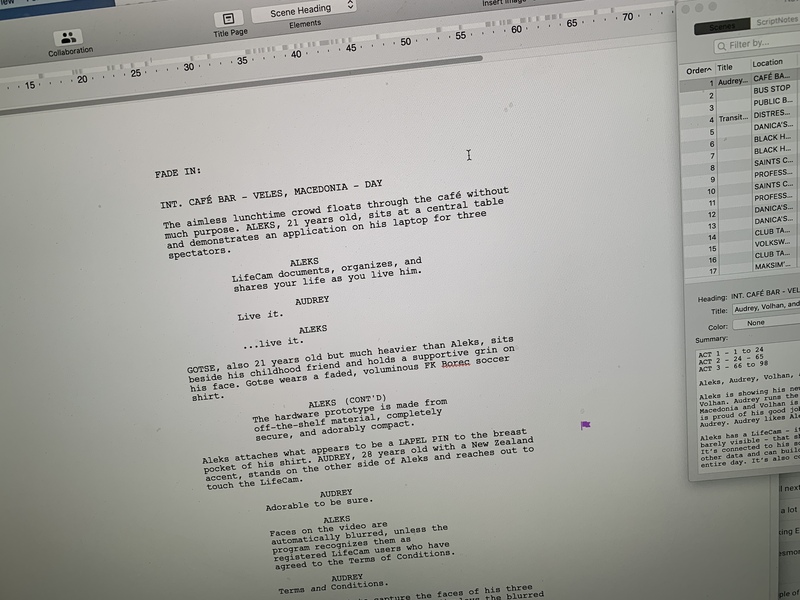 Final Draft is now aiming at a more general audience and, while there are plugins for scriptwriting in Word and Google Docs, many screenwriters swear by the software. At $249 it’s a bit pricey but as long as you’re working on your next great screenplay featuring a robot that falls in love with a washing machine it is, presumably, a tax write off. That said don’t hold me to that advice.